It’s hard to buy gifts for a gentleman. They have to be tasteful, useful, thoughtful, and aesthetically pleasing. A gentleman, after all, has standards. And think about it: Do you really think he’ll like getting a single tie? Again? Business Insider put together a list of creative items that might be the very thing a gentleman wants without knowing it. After all, those are the best kinds of gifts. Skip the tailor and get some handmade shirts. Start the New Year looking sharp. 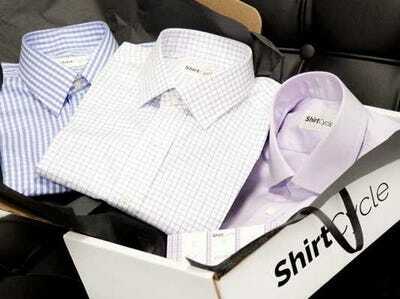 Send ShirtCycle your measurements, a photo, and details about your work place and wardrobe, and they will send you three handmade shirts, tailored exactly to your taste. A modern boom box, so to speak. 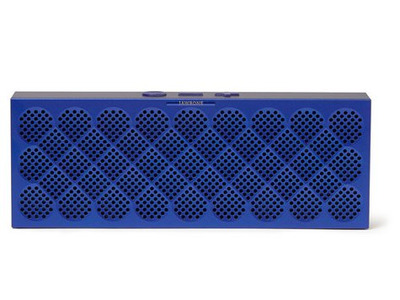 Jawbone's Mini Jambox Bluetooh speaker is less than two inches thick, but delivers great sound quality. It wirelessly syncs up to your phone or tablet -- making life way easier sans cords and plugs. An assortment of curated ties. Ties are essential elements of every polished gentleman's look. But it may be hard to decide which ones to get. 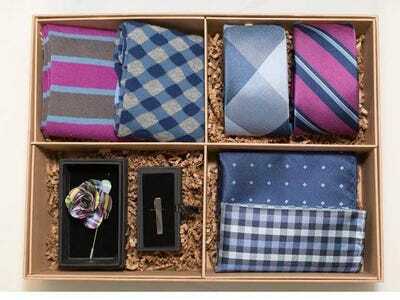 We recommend picking up one of The Tie Bar's newly curated tie style boxes. A guide to mixing drinks like a pro. 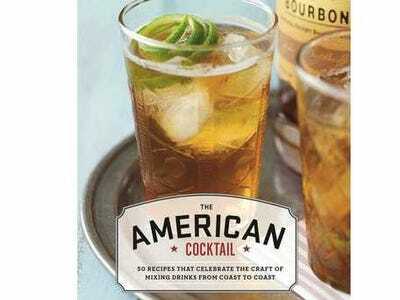 America's undergoing a cocktail revolution. So the editors at Imbibe Magazine compiled this cocktail bible, with 50 of the best artisanal drinks from all over the country. 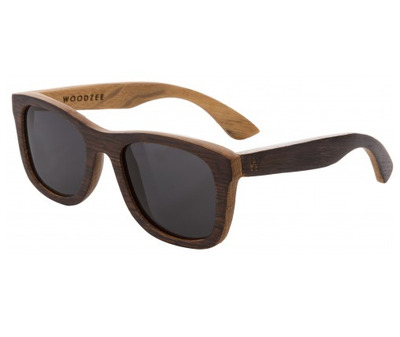 Woodzee glasses made from whiskey casks. Whiskey meets Warby Parker. Does it get any better than this? The latest collection of Woodzee glasses are constructed using recycled whiskey barrels from the Columbus Barrel Company in Ohio. You can actually see how the whiskey stain enhanced the wood patterns on the glasses. 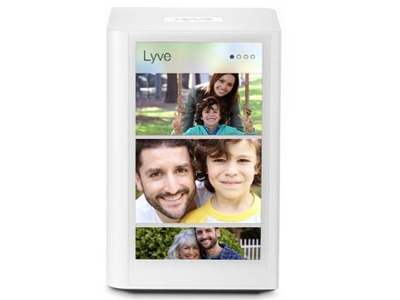 Lyve -- a cool way to organise photos and videos. If you're a tech-savvy gentleman who already has every gadget out there, then Lyve is for you. Lyve backs up and organizes all of your digital photos and videos -- whether its GoPro footage from your last ski trip or iPhone selfies. 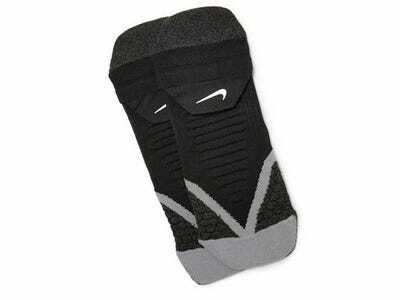 These socks are specifically designed to enhance your running, and give your feet better support. Give your feet a break. Speaking of socks... get a fun pair as well. Brighten up the winter blues with a fun pair of socks. Wear them under a serious suit for a pop of colour, or just lounging around at home. 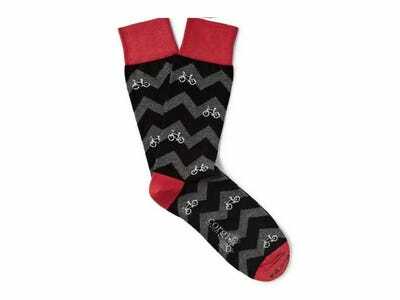 We're particularly fond of these red and bicycle-patterned ones. Subscription boxes are cool. With Sprezzabox, all you have to do is sign up for a membership, and each month you'll get a seasonally-themed box delivered to your door. They're full of treats like trendy belts and socks, essential toiletries, and dapper new neckties. Check out some of their past boxes here. A good business card case. Get yourself a solid business card case. So when you're exchanging business cards during the holiday party season, you can whip them out in style. All gentlemen need their shoes to shine. The modern gentleman is sophisticated but self-reliant. He can shine his own shoes, but he's gotta do it in style. 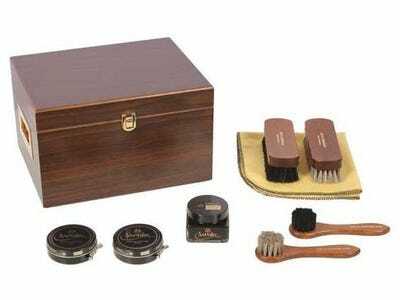 Get this polishing set, complete with all the wax, cream, and brushes you needs to keep shoes looking sharp. Choose between a walnut, cherrywood, or burlwood finish. 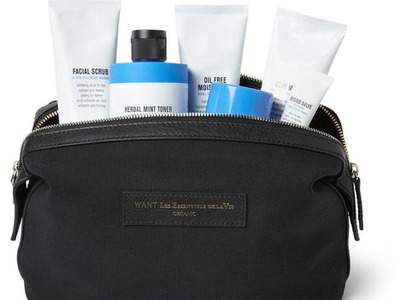 A grooming kit for the long, cold winter. Here's the grooming kit you've been waiting for -- it comes with everything you'll need to cleanse, moisturize, and protect your skin during the blistering cold winter months. Don't let the wind peel your skin off this year. 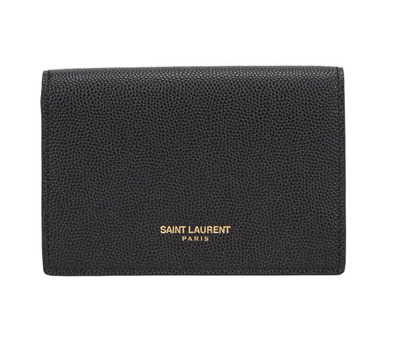 Give your iPad a gift this holiday season -- and dress it up in nice, black leather. 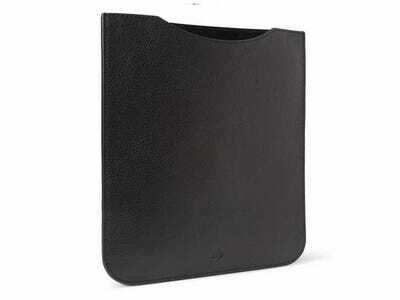 On a more serious note, it's smart to have a case for your iPad since it can get scratched up. Or crack when you drop it. 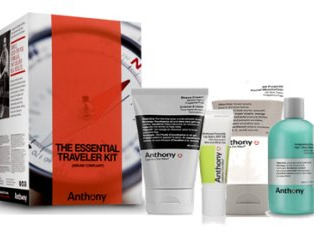 For a full-service shave right in your own home, get yourself Anthony's Perfect Shave kit, with Glycolic facial cleanser, shave cream, pre-shave oil, and after shave balm. Or, get yourself the Essential Travel kit, with all the same products in convenient travel sizes, plus hair & body wash, moisturizer, and mint & white tea lip balm. Bonus: Anthony donates a portion of their proceeds to support prostate cancer research. The perfect headphones for an athlete. A modern gentleman needs to work out. And when he works out, he needs tunes. 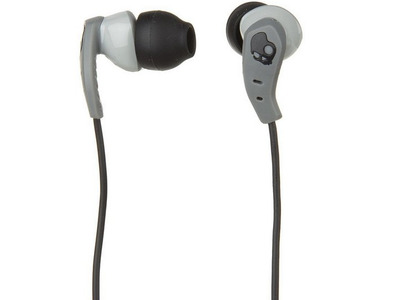 Skullcandy has redesigned their Method buds to better fit your ear, whether jogging, lifting, or getting jostled around on the subway. Their sticky gel technology helps keep them in, even when you break a sweat. Don't forget stocking stuffers - like this handy bar tool. 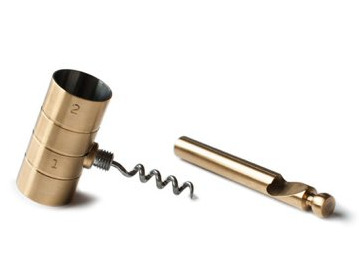 This absolutely essential gadget measures shots, breaks ice, pops corks, and cracks bottles like no other. It's stainless steel, and beautiful. You'll never not use it. 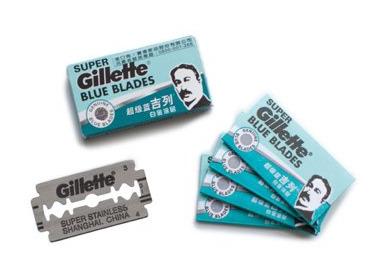 When a gentleman is on the road, he needs convenient, portable toiletries - like these Gillette razor blades. Stuff his stocking with a few stainless, double edged blades. They're awesome and they will take up no room in his toiletry bag. Another winter essential -- especially if you're living a colder region. 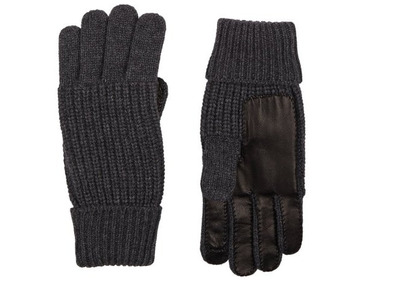 These leather trim, wool-slash-cashmere knit gloves will keep you warm, and keep you looking good. A smaller shaving kit for the no-fuss guys. Nothing's worse than irritated skin, cuts and bleeding after shaving. 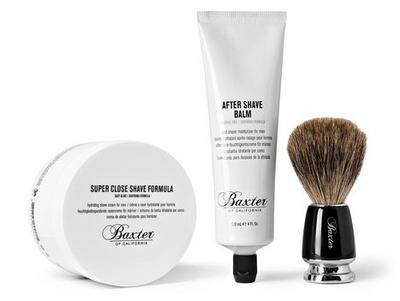 Get some proper shave formula and after-shave to keep skin looking smooth. 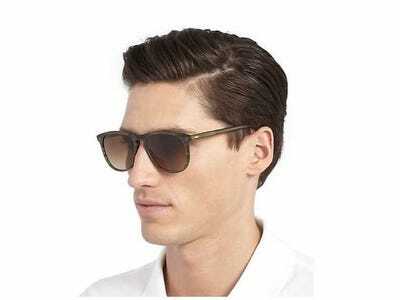 Sunglasses are the perfect style accessory, summer or winter. This season, get a pair of Barton Perreira shades -- like these black Rainey Top-Bar-Detail sunglasses. An on-trend watch with brown leather straps. 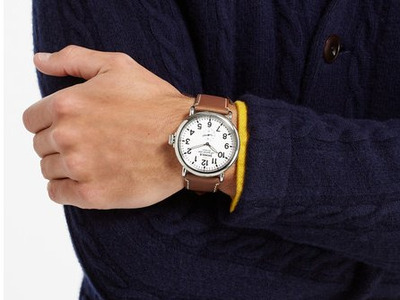 Menswear is moving away from the uber-glitzy to the chocolate-strapped watches. 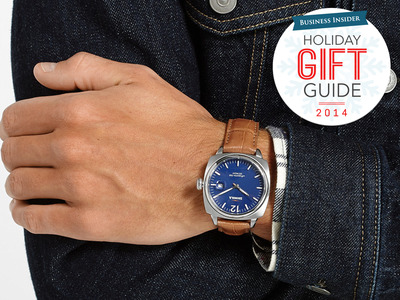 And good news, this watch will look great, even when it's no longer 'trendy' per se. Do yourself a favour, and get one. 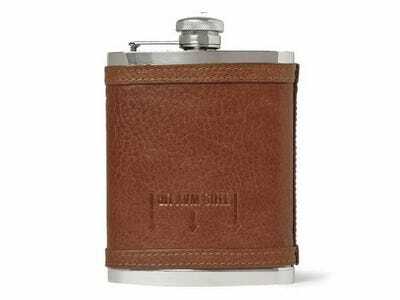 Encased in buttery soft leather, this flask makes a perfect stocking stuffer -- or a great gift for yourself. Unfortunately, drinks are not included.